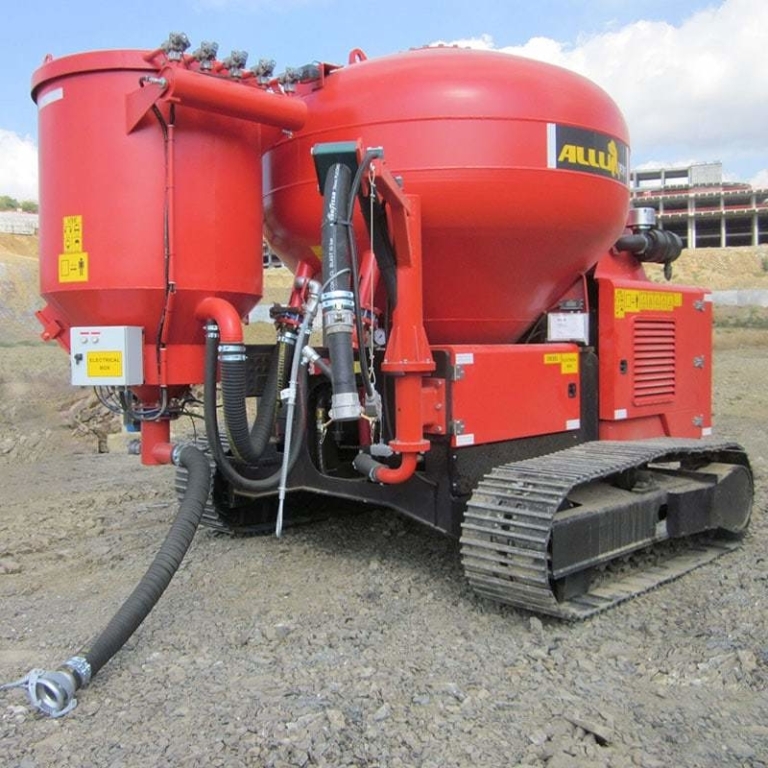 The ALLU PF 7 is a one-tank pressure feeder and self-contained pneumatic-based dry binder delivery system. 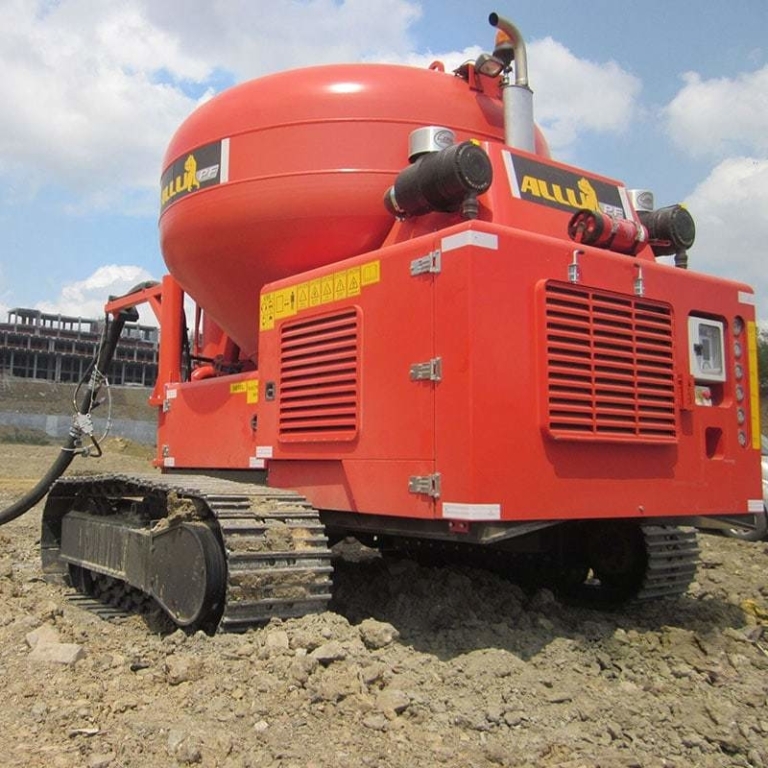 The Pressure Feeder uses an on-board air compressor to pressurize a tank of binder and deliver it in dry form. Delivering and mixing binder in dry form conserves the "drying" capacity of a binder. 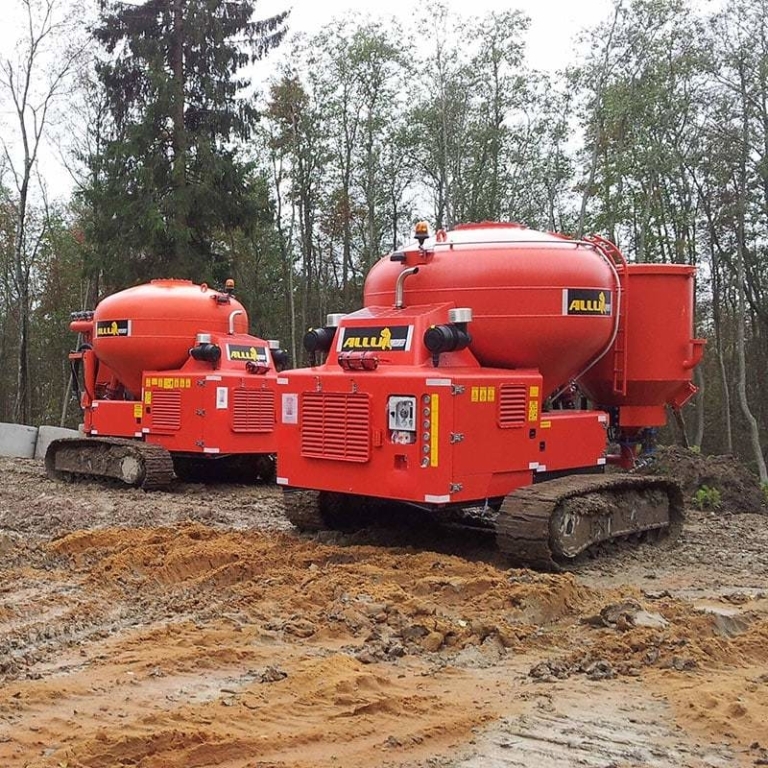 It’s a more cost-effective use when wet soil or sediment is to be stabilized. The computer-controlled feed enables the binder to be added very precisely, which also reduces costs and increases quality on the jobsite.